Grandfather Mountain high overhead from Foscoe, North Carolina. 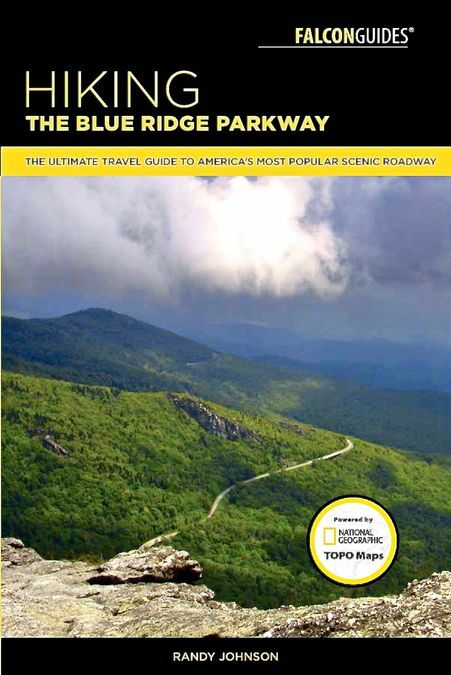 Latest news is that my book Hiking the Blue Ridge Parkway, which came out in a brand-new 2017 full-color 3rd edition, was honored in early 2018 as a finalist in the Guide or Travel Book category in the North American Travel Journalists Association 2017 journalism awards. 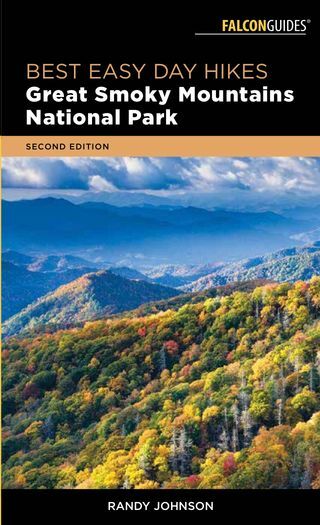 In April 2018, look for my Best Easy Day Hikes Great Smoky Mountains National Park in a new 2nd edition, the most complete update on the park after the late 2016 forest fires. 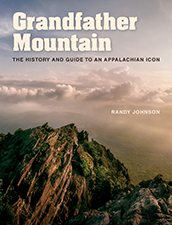 It’s one of few guide books bundled with one of National Geographic/Trails Illustrated’s great maps (this one, of the Smokies of course). 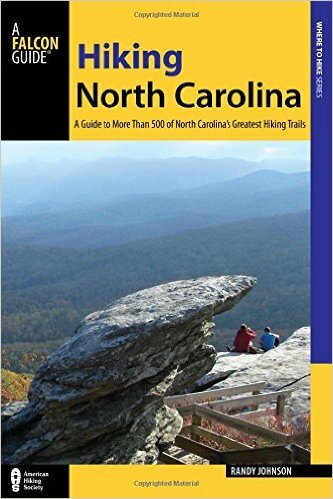 Also in 2016, my bestselling guide Hiking North Carolina came out in its own 3rd edition with all color maps and photos and won the 2016 First Prize for book photography from the Society of American Travel Writers eastern chapter. The third edition has expanded content, more trails and more state parks for the 2016 centennial year of the park system. It’s a completely fresh look at a great trails state! Check out this promo for my 2016 Grandfather book appearances on D.G. Martin’s UNC-TV program North Carolina Bookwatch or stream the program right here. I don’t just hike trails, I build them too. 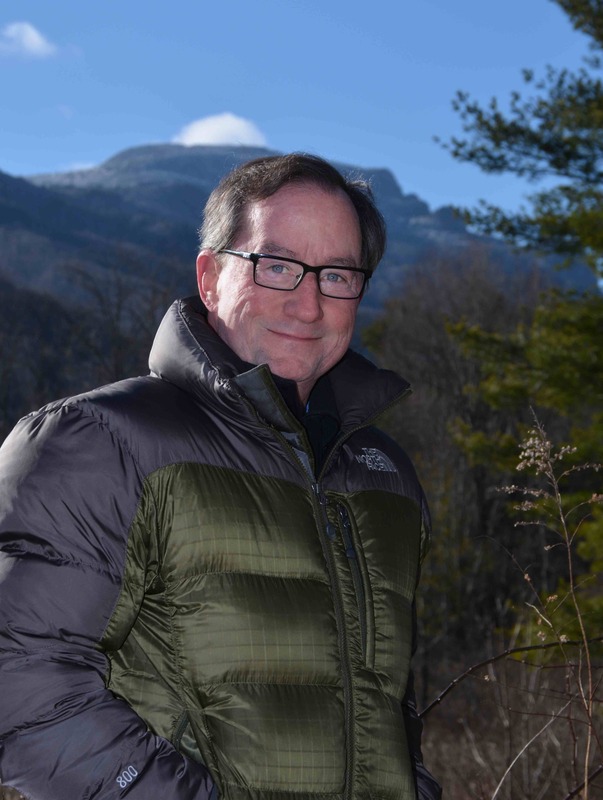 I launched the program that kept Grandfather Mountain’s trails open in the 1970s, and helped create the trail network in place today on the mountain and Blue Ridge Parkway. As task force leader for the Mountains-to-Sea Trail across Grandfather–I invite you to join us (www.ncmst.org/). My passion for sharing the outdoors is why my books’ trail descriptions explore an entire area, recommend a range of hikes, and include history, ecology, climate, and culture. I’m a map fanatic–you’ll love my books’ plentiful, accurate maps. I hope you’ll consider my books–they share the passion of the Lowell Thomas Award-winning articles I have written for national magazines and newspapers. Here’s wishing you the kind of hiking experiences that inspire me to write them!